Today I'm going to post a basic cheese sandwich in toaster griller. I often make this for my three year old. Today we had this along with strawberry sauce and watermelon juice. This post is for beginners. Since I've already posted these few months back so not restricting myself to share with 15 friends only. Feel free to pick any of these. 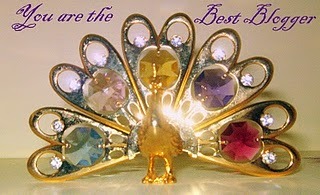 I feel so blessed and thankful that due to blog I've been able to make so many friends. Thank you friends for sharing these cards with me. Please visit their blog for more bites. 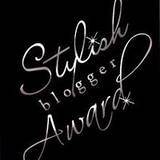 Pia of Cook Healthy has shared Stylish Blogger Award with me. Heat grilled sandwich maker for a minute, take two slice of bread and lightly butter the outsides of bread. And place a sheet of cheese in between, add little shredded carrot and two thin slices of tomatoes and sprinkle some salt and pepper. Grill this for few minutes or till is is golden brown. Serve this with chopped strawberries in strawberry sauce. the sandwishes look delish deepa and the pic makes me hungry (slurp) ! 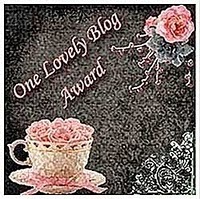 congrats on the well deserved love ur blog (& u) gets ! Congrats on ur awards dear, grilled sandwich makes me hungry,anything with cheese is my fav..
looks lovely and delicious.. awesome clicks !! Lovely sandwich...looks refreshing and fulfilling. Congrats on all those well-deserved awards, buddy...happy blogging. congrats dear on ur awards..sandwich looks yummy..
mmm..grilled cheese sandwich looks so tempting and perfect..yum! Congrats on ur awards..well deserved! Simple delicious and fabulous looking cheese sandwich,beautiful clicks..
Congrats on your awards.. The sandwiches are simple and lovely.. Delicious Sandwich ..congrats on ur awards! Wow, yummyyyyyyy.i luv grilled sandwich.tumi ki eta electric griller a grill korecho?ami akta griller kinte chai kon company ta tumi use korcho aktu bolo.- RAJASREE. First time at your blog here. 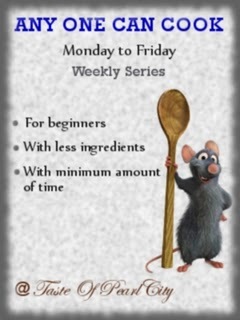 You have a wonderful space here with a mind blowing collection of recipes. Happy to be following you. Sandwich looks great..my kind of comfort food!! grilled cheese sandwich looks delicious Deepa. congrats on your award, wishing many more to come. Congrats dear!Wishing you many more! Sandwich looks so delicious ,also loved the idea of serving with fruit sauce. Simple and satisfying meal for mom and kid! Congrats on awards..Sandwich looks so yum! Congrats on your awards Deepa. Love the sandwich and gorgeous strawberry sauce. congrats on ur awards deepa..luved this simple and yum grilled sandwhich ! Congrats on ur awards and sandwich looks very perfect and my fav one. The sandwich looks totally nice and awesome. I want to grab it. 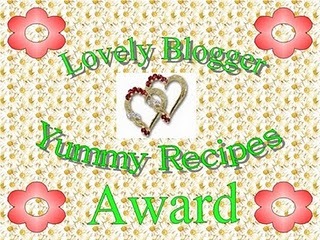 Nice , simple and tasty recipe with awesome clicks..
Congrats on the award!! Lovely grilled sandwich....one of my all time favs!! Lovely sandwich...looks so colorful..I wil try this..
Congrats deepa..grilled sandwich makes me hungry..superb! we make this regularly at home! looks delish! ooh now I'm craving grilled cheese -yum! There is nothing as comforting as a simple grilled cheese & yours has that pretty grilled marks on it! Congratulations on all those well deserved awards....that is because you are such a friendly and warm person with really good food to share! Sandiwich looks super yummy and mouthwatering. Congrats on your awards. That cheesy stuff looks yummy...I'll try soon! I love a basic cheesesandwich. It was my favorite 'cafe' food to eat whilst in India! Congrats for such lovely awards ... The sandwich looks so yummy - my kid will surely love it !! !